Aspiring artists, put down your brushes. Casio has the fix for photographers who want to gaze at waterfalls in watercolor, pointillist parks and fauvist family portraits without so much as touching a brush. Or Photoshop, for that matter. The new Casio Digital Art frame uses the kind of digital image processing you might already associate with Photoshop filters to turn any fresh batch of digital camera shots into art pieces: airbrush, colored pencil, oil paints, pastels and watercolor are just a few of the options the frame offers. According to Casio, the brains of the frame go a bit beyond simpler image processors by combining the art effects with Casio’s facial recognition technology to ensure faces don’t disappear in a blur of blobs. It will also go beyond merely displaying photos with support for Flash Lite content, such as clocks and calendars. The results, you can judge for yourself. 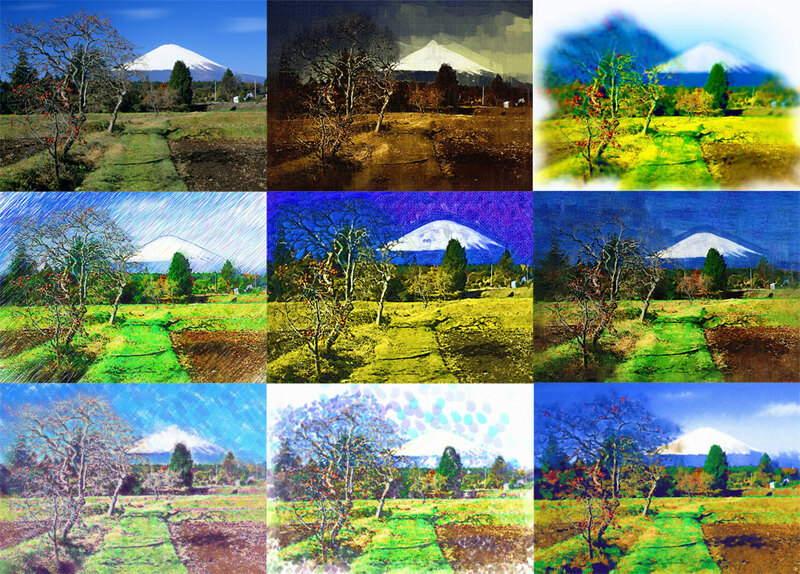 While Casio’s algorithms seem to do a good job spinning photos in a number of creative ways, we’re not sure anyone will mistake you for an amateur Picasso. Casio’s Digital Art Frame will debut in spring 2010 at a price that has not yet been announced.